Derry Police Capt. 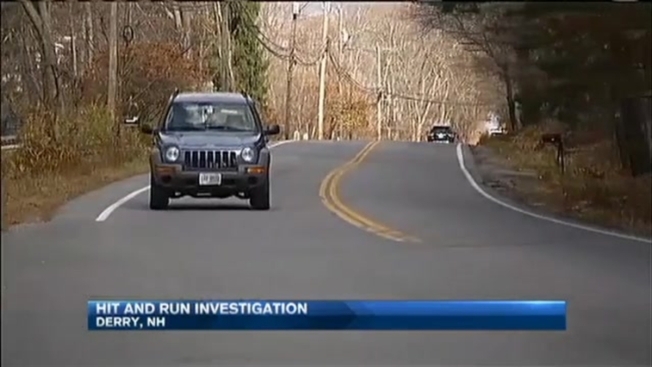 Vern Thomas tells necn the man was walking along Chester Road around 5:30 p.m. Thursday when he was struck by a passing vehicle and thrown into the woods. The 55-year-old victim was found on the ground suffering from severe injuries, but is expected to survive. "He had a neck injury, a head injury, and possibly some others from being thrown to the ground," Capt. Thomas said. Neighbors describe a chaotic scene just after the crash. "It looked like they were investigating a homicide or something, the way they had it all blocked and taped," said Joseph Abruzzese. Abruzzese lives just off Chester Road and worries daily about his two-year-old daughter and his dog. "The speed limit is 40, but nobody does that," Abruzzese said. Another resident, Thomas Veaudrey, says this isn't the first time there's been a crash at the end of his driveway. "People do easily 60 mph or higher on that road, we had our mailbox hit twice," Veaudrey said. Neighbors hoping this story will encourage drivers to slow down before it happens again. "It's just something that's going to happen because there is no where to walk." Abruzzese said. "Hopefully, it won't be any of my family members, I'm worried about that." Police are looking for a small, dark-colored small SUV with damage to the front end and the passenger side.